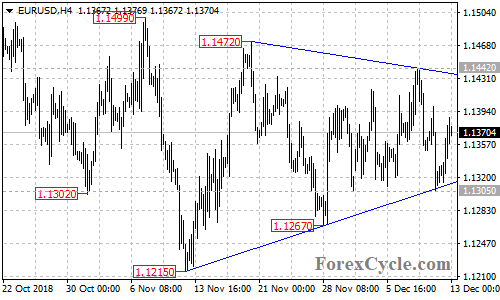 EURUSD continued its sideways movement in a triangle pattern on the 4-hour chart. Resistance is at the top trend line of the pattern, breakthrough this trend line could take the price to 1.1500 area. Support is at the bottom trend line, a breakdown could take the price to 1.1200 area.